The purpose of the NSTRA Hall of Fame is to recognize and honor dogs which contributed significantly to the ideals and goals as established under the original constitution and by-laws of the organization. NSTRA fosters the growth of walking style, quality field trials for all the pointing breeds of dogs. These field trials effectively extend the activity of upland bird hunting opportunities beyond open seasons for wild birds. 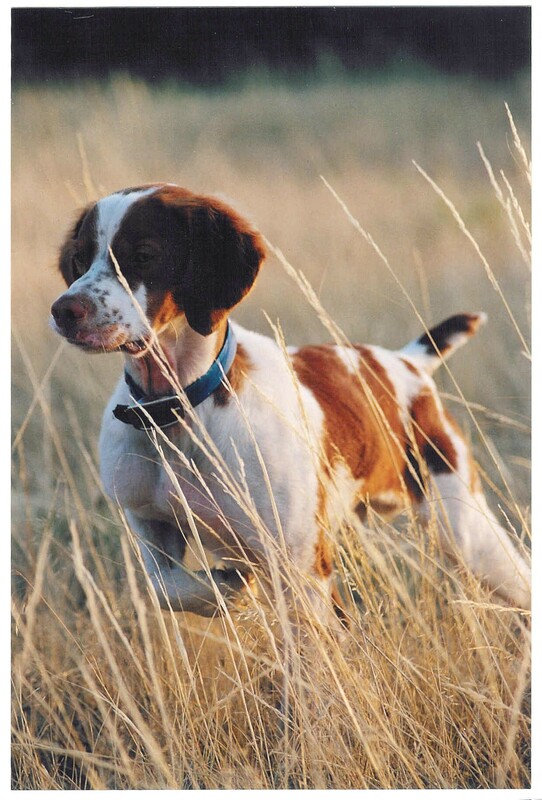 Recognizing the unique qualities of pointing dogs generally, NSTRA permits entries from among all pointing breeds and eschews bias or favoritism toward a specific breed. A fair and consistent method of judging provides for equity in competition. The legacy of great canine competitors of the past is a building block for the future. Acknowledging excellence in competition is only one component in evaluating a dog worthy of admittance to the NSTRA Hall of Fame. NSTRA has, as part of its mission, a commitment to discouraging nonselective and uncontrolled breeding. In other words, we desire that the best of the best are bred, producing offspring who also excel in this sport. In April of 2002, the Board of Directors approved a select group of dogs automatically admitted to the NSTRA Hall of Fame. The dogs were split into 2 categories, 10 dogs in the pre-1990 category and 10 dogs in the 1990 to present category. Thereafter, 2-3 dogs are inducted each year based on the non-biased point system in effect when the nomination is submitted. 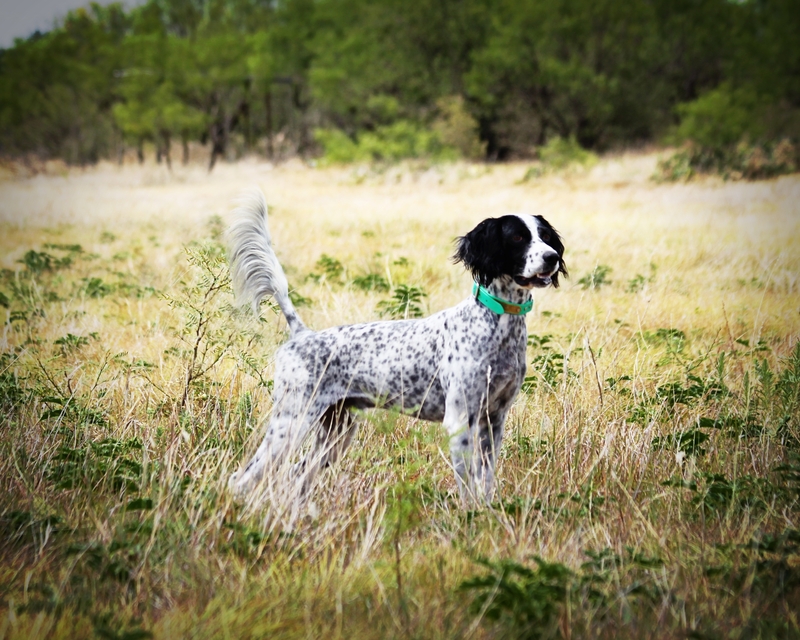 Specific criteria changes from time to time, but the basics have remained the same: excellence in the field by the nominee dog and contribution to excellence in a breed as demonstrated by progeny of the nominee dog. If a qualified nomination is not selected in a given year, the nomination may be re-submitted in subsequent years. 24 Top Performance wins, and numerous Top 4 placements. In addition, this collection of dogs have 685 NSTRA championships with 12,473 points (7,497 of which are 1st place points) among them. This is truly the best of the best, the most elite group of dogs NSTRA has to offer! Last October the Hall of Fame committee elected two dogs into NSTRA’s Hall of Fame. One of those two dogs worthy of induction was Ace’s King. King was out of Louie’s Mohawk Deuce and Jack’s Candy Apple. 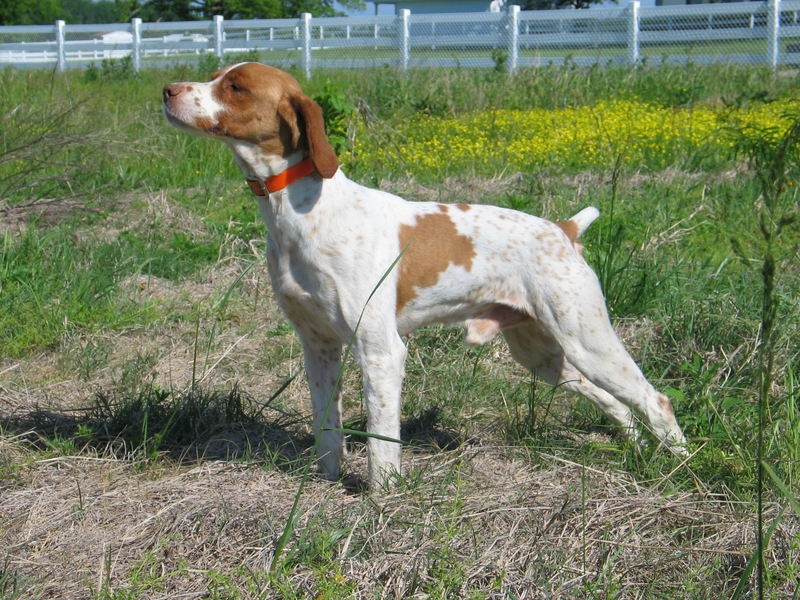 Ace’s King belonged to past NSTRA president Bob Cunningham of Medora, Illinois. He was purchased from Matt West of Bunker Hill, Illinois. Bob got the bargain of his life, only paying $50 for King. No one seemed to want the darkest puppy in the litter, but Mr. Cunningham saw something in that little dark-faced setter. Bob started his NSTRA trialing career in September of 1980. And on a May day in 1981 at Gunsmoke Kennels, King showed Bob what a bargain he did get and what caliber of dog he had on his hands. He placed second at that trial. From that point on, there was no stopping Ace’s King. He earned his first NSTRA championship by October of 1983. In April of 1984 he earned number two. Later that year Ace’s King won the Illinois region elimination. He won the Champion of Champions Trial in April of 1985 with a posted score of 1052 points thus also becoming an American Field Champion. In 1986 he became a 7 and 8 time champion, along with a second place finish in the Illinois region elimination. King earned his 9th championship in January of 1987 with number 10 just 8 short months later in September of 1987. King was NSTRA’S first 10 time Champion. His last placement came in January of 1988 which gave him his 11x NSTRA championship. Bob retired King after his 11x Championship at the age of nine years old. Bob and King were trialing at a time when many trials were only held on Saturday only and endurance trials were unheard of; a time when points and championships were more difficult to earn than today. King was the kind of dog one only dreams of; a dog that can wild-birdhunt one day and field trial the next. More than one judge made the statement that King was probably the most “broke” dog in NSTRA at that time. It was a time when NSTRA dogs were taught to hold that point no matter what. There was not such a thing as “moving from its resting place”. The dog had to hold point even if the bird walked under its nose. King traveled many miles in a dog trailer to trials. He traveled even more miles by himself. You see, King was a free spirit who would take off on little adventures now and then. He ran off in Minnesota, crossed two busy interstates to end up attending a bbq with some folks 15 miles from the field trial grounds. One winter he decided to hunt on his own while wild-birdhunting in Childress, Texas only to be picked up by two ladies and hauled to Dallas (approximately 4 hours away) and was retrieved by Bobby Clark. His escapade in Washington State the next fall landed him on a cattle ranch. Gailen Carothers rescued King that time and flew home with him to make sure he “landed safely”. Luckily for King, he was usually found by someone who would call Bob and say “I think I have your dog here”. He left the field one morning while Bob and Marilyn were in Florida in 1990 only to never return. We hope he ended up with some nice people and didn’t end up an alligator’s lunch, which seems to be the theory. King sired 17 dogs who placed in NSTRA field trials. They are: Ace’s Oscar’s Cissy, Bridgette Greenwood, King’s Dizzy Tis, Master Mohawk Mike, AK’s Ike, Woodland’s King Reggie, Perkins Dixie Bell, Ace’s Hope, Ace’s Whisky Lady, King’s Blitzen, King’s Gabby Girl, Trentham’s Dixie Amy, Smokin Mohawk, Ace’s Rebel Sally, Ace’s Ranger, and T’s Dixie King. In 1991 Master Mohawk Mike won the Top Performance Award, Ace’s Whisky Lady won the NSTRA Dog of the Year trial in 1992 and Smokin Mohawk was 3rd runner-up in the 1995 Ralston Purina Endurance Trial. Fancy White Trash, a 21 time NSTRA champion with a career total of 393 points. Owned by Mike and Penny Clark of Raymond, Nebraska, the award was accepted by Mike Rost, a Mid West region member. Much to our regret Mike and Penny were unable to attend. Fancy won the Trial of Champions in 1997, the Dog of the Year in 1998, the Midwest Regional in 2000, and the Grand National Championship in 2000. She also was 2nd runner-up at the 2002 Grand National Championship. She also placed in qualifying rounds of 9 championship trials. 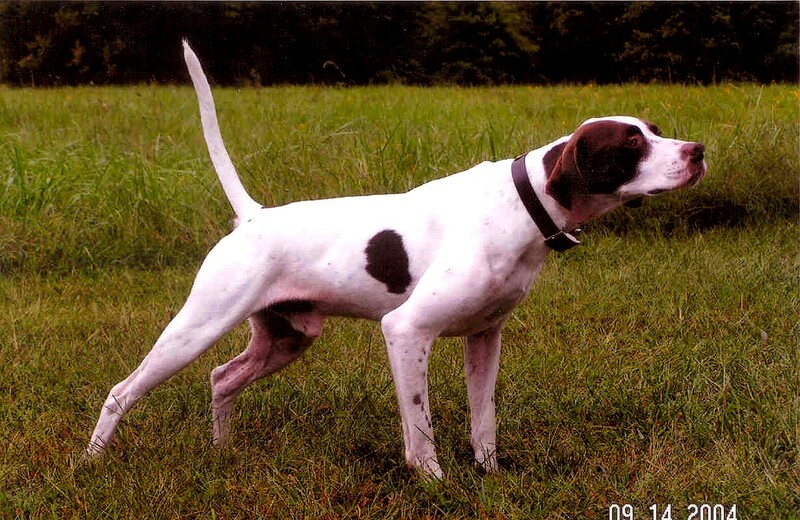 Miss Freckles Rex, an English Pointer female, was grandfathered in according to the Hall of Fame criteria. 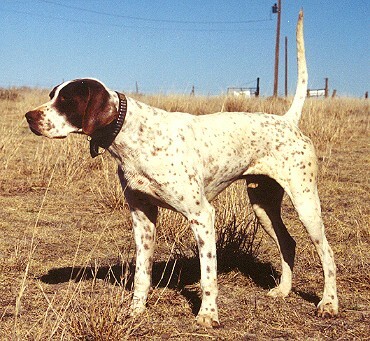 Freckles was owned by Gene Wilson from the Indiana Region. Gene’s son, David, was on hand to present the award to his father. 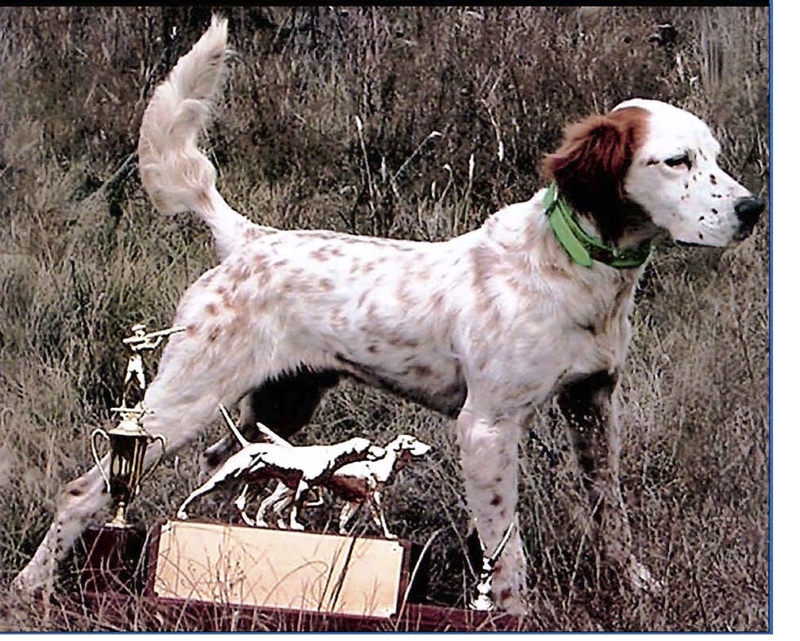 Freckles became a NSTRA champion in March of 1979 followed by her 2nd championship on March 21, 1981. 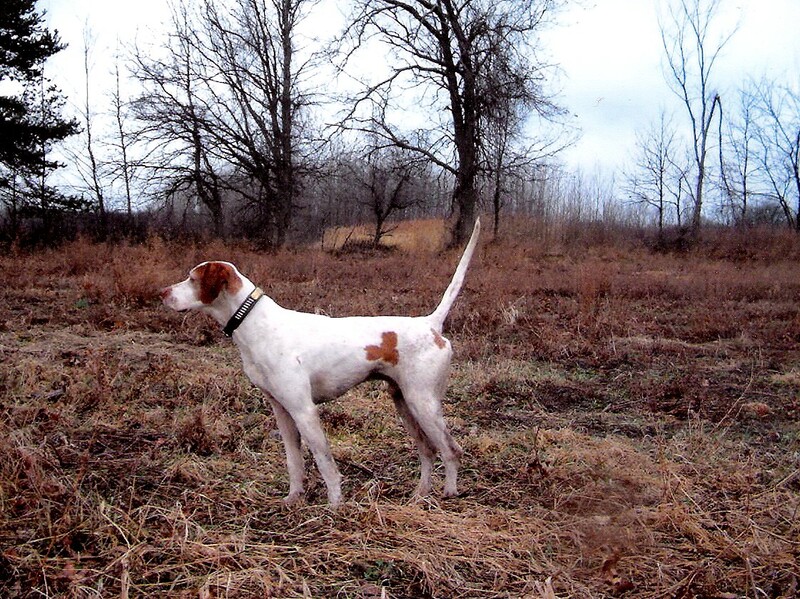 She won the NSTRA Dog of the Year trial in 1977 and followed in the first runner-up berth at a later date. 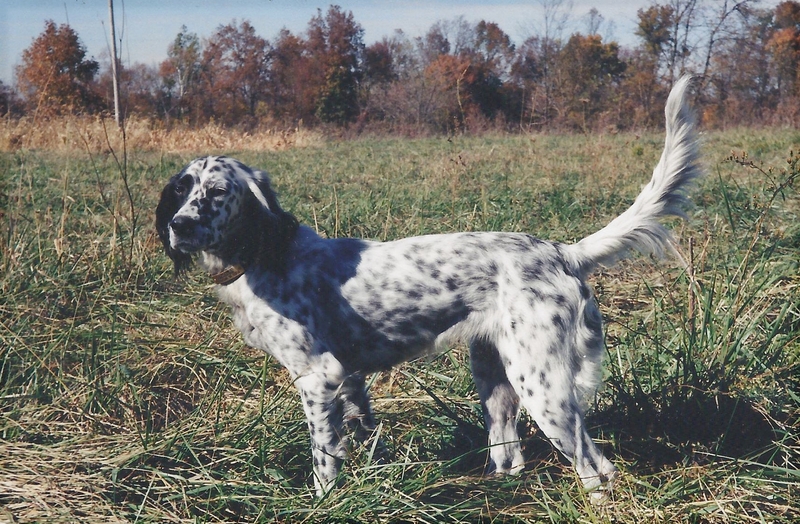 Tall Oaks Freebee, an English Setter Male owned by Becca Smith of the Mid West Region. Her father, Jim Smith, accepted the award. 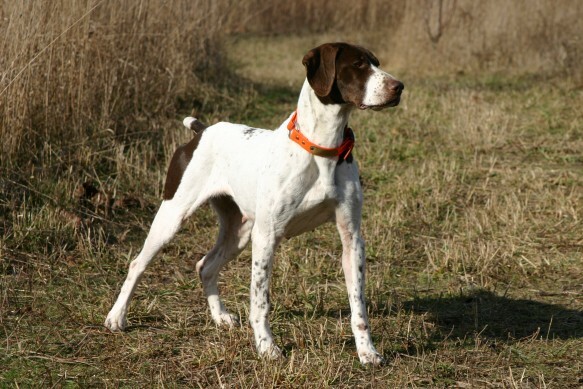 “BJ” was 10 years old, a 12 time NSTRA champion, with a total of 227 lifetime points. In 2001, BJ was 1st runner-up at the Grand National Championship; in 2002, he won the Trial of Champions and was the Mid West regional champion in 2003. He also qualified in qualification rounds of 9 NSTRA championships. Pete was owned by C. L. Mitchell of the Ohio Region. Pete’s sire was Hard Times Prenosil and his dam was Grievous Angel. 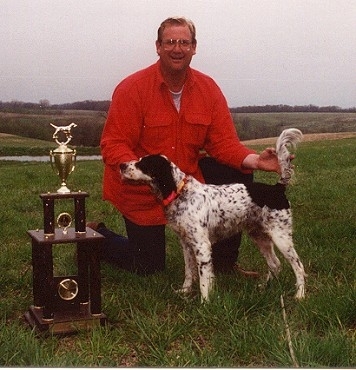 Whelped on June 19, 1994, Pete’s first placement came on April 27, 1996 with a win at the Iowa Gun Dog Association. His first championship came in September of 1997. This 17x champion has amassed 60 wins, 42 seconds, 45 thirds and 47 fourths for a total career point count of 314. 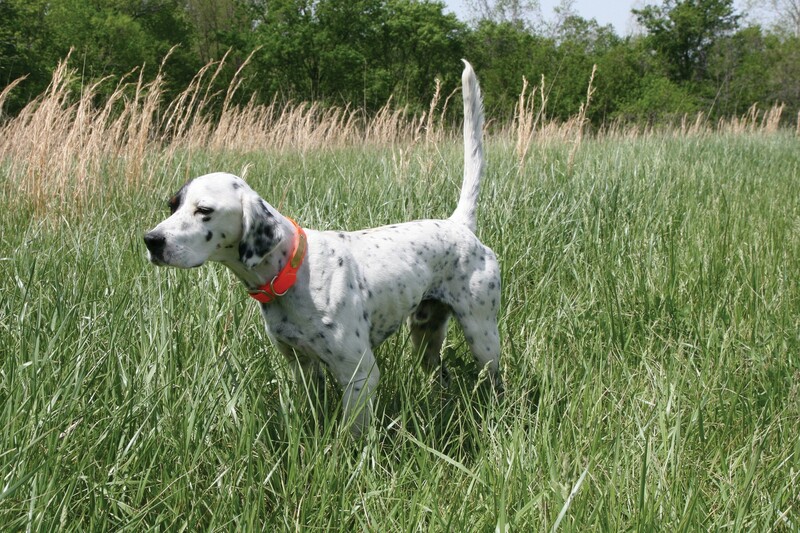 Some of Pete’s highlights include 1st place in the 1997 Kentucky region elimination, 4th place in the 1998 Kentucky region elimination, 4th place in the 1999 Dog of the Year finals, and several wins in national championship qualification trials. Pete also placed in the top 10 in Top Performance 4 years in a row with a 2nd in 1999, 3rd in 2000, 3rd in 2001 and 7th in 2002. During his heyday he averaged 4 championships per year. Pete has also proved he is an admirable sire. His progeny have attained 30 championships including 12xCH Tomoka’s Smokin Pete and 6xCH Pete’s Little Bear. Roy Burchel of the Dixie Region owned John. As a 10x champion out of 25x champion Crow’s Little Joe and Midnight Princess he accumulated 185 lifetime points with 31 wins, 29 seconds, 18 thirds and 32 fourths. He was whelped on February 24, 1997 and died on January 14, 2008. His first placement came on January 18, 1998 at the Middle Tennessee Gun Dog Club with his first championship on November 27, 1999. John’s career includes winning the Dixie Region Elimination finals in 1998 and 2004, first place in the National Endurance Classic trial in 2000 (entered as a bye dog), 4th place in the Dog of the Year trial in 2000, 2nd in the 2002 Quail Invitational, 4th in the 2003 and 2004 Quail Invitational, 4th in the 2003 Trial of Champions and 2nd in the 2003 Grand National. Beeline Bullet’s Bravado (Brave) owned by Nolan Huffman of the South Carolina Region. 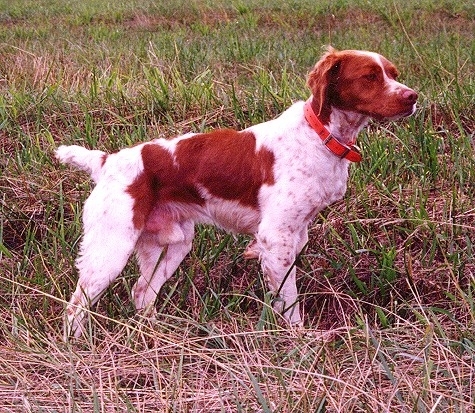 A Brittany Male our of Nolan’s Last Bullet (NSTRA HOF) and Keith’s Renegade Ginger Whelped on March 20, 1999. He had accumulated 271 points, 157 of which were first place points, to earn 15 NSTRA championships. His HOF point accumulation was as follows: 2001 - Dog of the Year - 1st Runner-Up	5 points 2002- Grand National - Winner	8 points 2003 - Dog of the Year - Winner	8 points 2005 - South Carolina Regional Elimination Winner	2 points 2006 - South Carolina Regional Elimination Winner	2 points 15 X NSTR Champion	3 points Total	28 points Proving that owning a champion caliber dog is no fluke, Brave continued on in his sire’s footsteps. In fact, he gave Nolan his very first and only Dog of the Year win in 2003! His first championship was earned a mere 4 months from his starting trial. The next 4 championships came in 2001, with 2 more in 2002, and 3 in 2003. That’s some pretty intense trialing for a young dog, confirming again that good breeding plays an important part of NSTRA trial wins and championships. Several of Brave’s offspring have gone on to earn NSTRA championships. Generation after generation, these NSTRA Brittany’s demonstrate their worth and justify the objectives of NSTRA’s founders. Beeline Bullet’s Proof (Bull) owned by Nolan Huffman of the South Carolina Region. 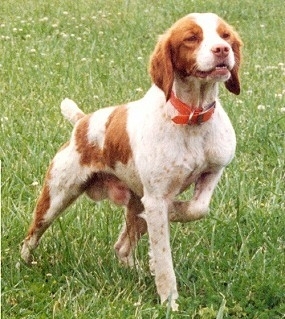 A Brittany Male out of Nolan’s Last Bullet (NSTRA HOF) and Sage Baez Patron whelped on May 28, 2002. He had accumulated 187 points, 131 if which were first place points, to earn 10 NSTRA championships. His HOF point accumulation was as follows: 2006 - Grand National Winner	8 points 2007 - Quail Forever - 1st Runner-Up	5 points 2007 - Quail Invitational - 1st Runner-Up	5 points 2007 - Trial of Champions - 3rd Runner-Up	5 points 2008 - South Carolina Regional Winner	2 points 2008 - Endurance Final - 3rd Runner-Up	5 points 2011 - South Carolina Regional Winner	2 points 2011 - Performance Classic - 2nd Runner-Up	5 points 10 X NSTRA Champion	2 points Total	39 points One of NSTRA’s main objectives is to promote pure bred dogs with controlled breeding to improve the hunting dog breeds. No better example of this is with 2 of the dogs that received the Hall of Fame induction this year. Both Bull and Brave were sired by 32x NSTRA Champion Nolan’s Last Bullet. In addition to the list of accomplishments above, Bull was proving his worth in an accelerated way; 3 placements in National Trials in a 3 month period; 4 NSTRA championships in one year. In addition, Bull has sired several NSTRA champion dogs such as 8x CH Bull’s Copper Tip, 3x Champion Vande Hei’s Ritzi’s Bouncin Back and 2xCH Clark’s Copper Bullet. No one can ask more of their dog than to not only prove his worth as a competitor, but to also have the genetics and ability to pass that worth down through several generations. Nikki was out of one of the great litters produced by Barb’s Tekoa Trouble and Sue Maggie Sue. She was raised and trained by Jack Glover in Shelbyville, Missouri. 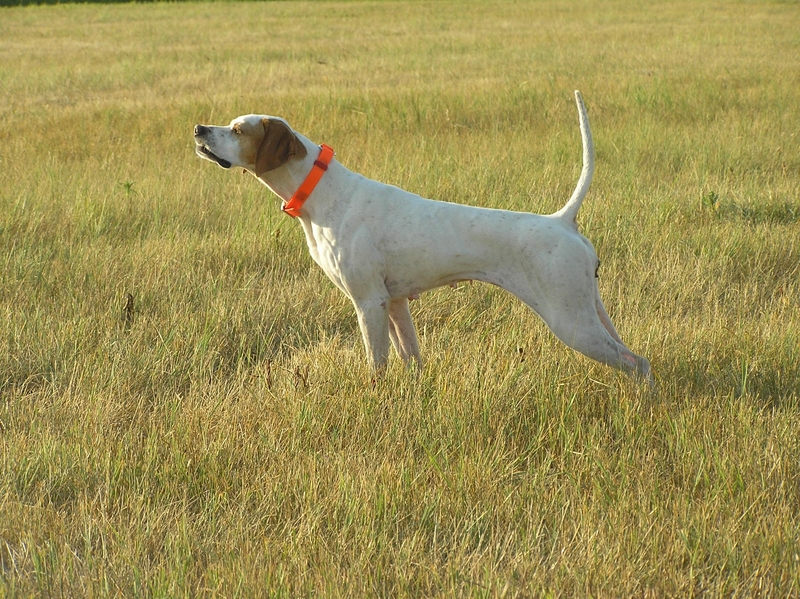 Jack competed with her and put 5 NSTRA Championships on her as well as a First Runner-Up in the 2002 Missouri Regional, a Regional Championship in 2003 and a First Runner-Up in 2004 Grand National. In 2004 Jack sold Nikki to Mark Kohlberg. Mark competed with her and put another 5 NSTRA Championships on her as well as Missouri Show Me Regional Championships in 2006 and 2007 and another Regional First Runner-up in 2009. She was 2007 Champion in the Dog of Year Trial. In three litters she produced Champions: Nikki’s Smokin Mike, Skipper’s Bandit, Glover’s Reco, Nikki’s Skippin Newt, Nikki’s Skippin Rox, Treasure State Tiger Woods, Glover’s Chopper and Nikki Sue Nikki. In 2009 Mark re-registered Nikki in both Jack’s name and his. 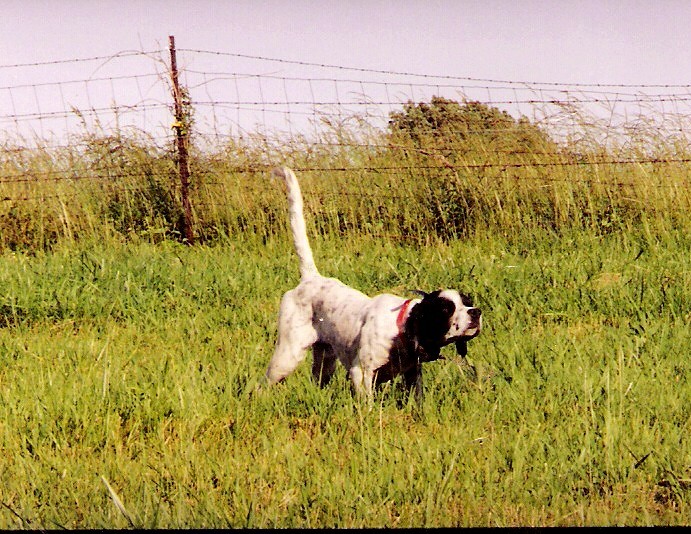 She was the best bird dog and trial dog they have ever owned. Nikki was one of those dogs that would just catch your eyes as she effortlessly covered a field and “Slammed” points. She will be deeply missed. 1st - 2002 Msm Regional Championship 3rd - 2003 Msm Regional Championship 1st - 2005 Msm Regional Championship 2nd - 2007 Msm Regional Championship 3rd - 2009 Msm Regional Championship He had 10 qualifying round placements at National Trials: 2002 Kasco Endurance 2002 Dog of the Year 2003 Grand National 2004 Purina Endurance 2005 Grand National 2006 Champions 2006 Grand National 2007 Purina Endurance 2007 Purina Endurance 2008 Dog of the Year. In 2004 Moniteaus Jessie James Won the Purina Endurance National Championship. In 2006 Jessie was 1st Runner-up at The Champion of Champions trial. 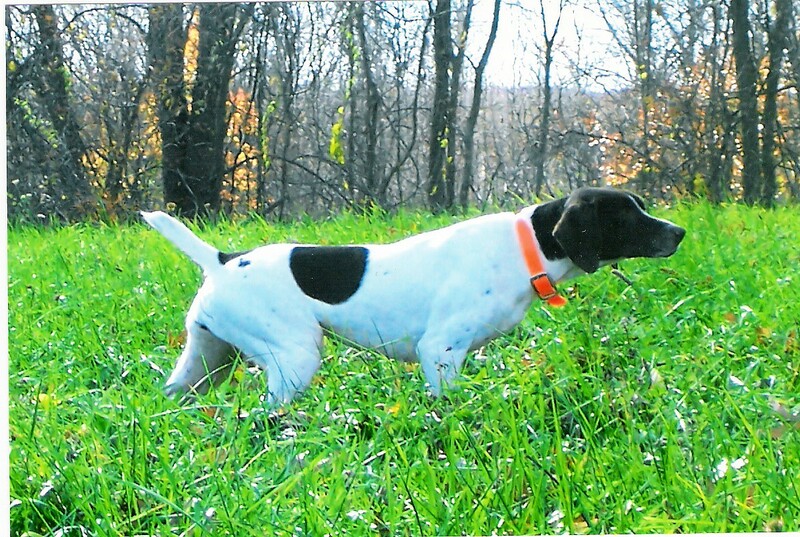 “Ivy” was an English Pointer female, owned and handled by Mike Rost of the Mid-West Region. Ivy was a 10 time NSTRA Champion, won the Dog of Year National Championship in 2012, was in the Final Four of 2 National Championships, the Mid-West Regional Champion in 2010 and placing in 3 other regional finals. Ivy was from Moonshines Biotech Sun and Crystal Dew. She earned her first championship on May 26, 2006 and continued on to become a 10 time NSTRA Championship. 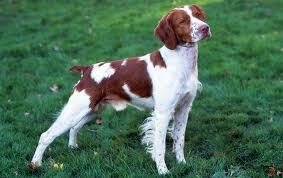 Doc was a Brittany male and belonged to Gary Thompson. 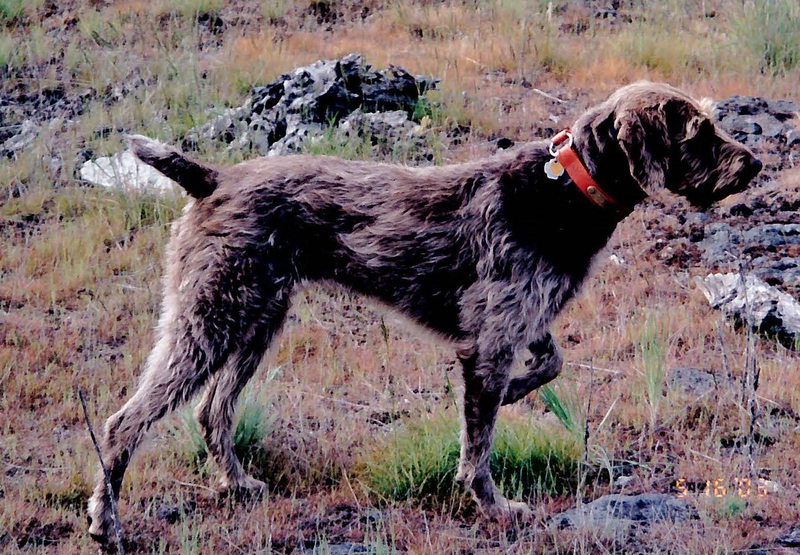 He enjoyed a grand life of field trials and wild bird hunting. 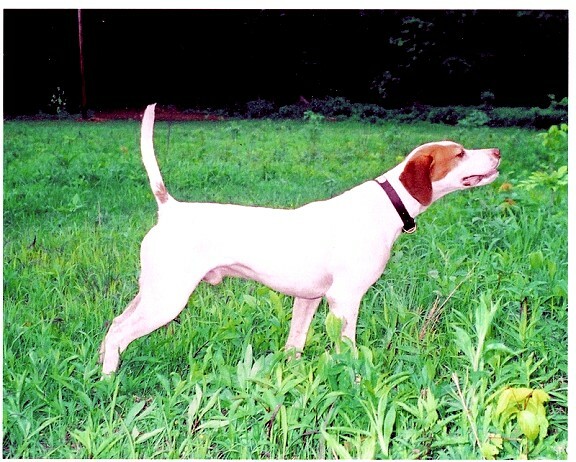 Doc earned his first NSTRA point in Lewistown, MT on August 31, 2003 at the age of 16 months. Almost exactly 5 years later in Lewistown, MT he would not only accumulate 10 NSTRA points in that same week, but win the NSTRA Purina Endurance Championship. 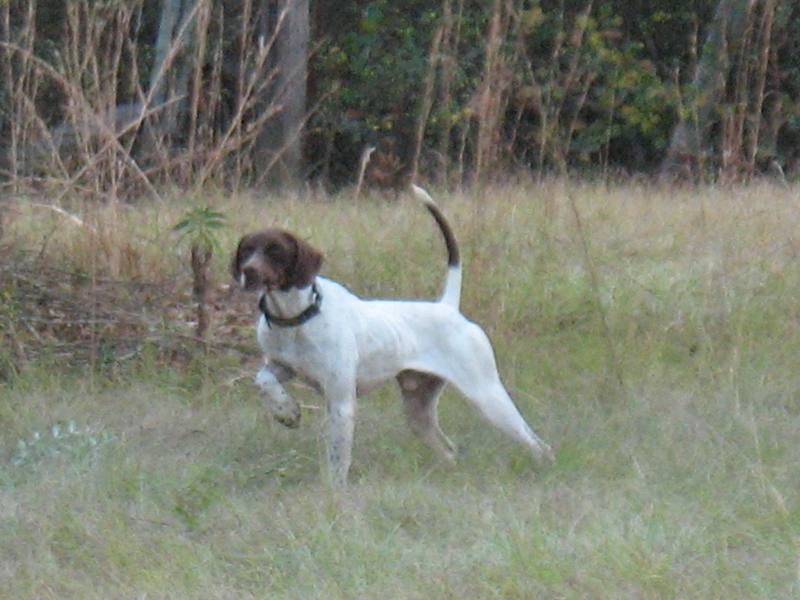 Doc was an 11X NSTRA Champion, 2009 SCR Regional Final 2nd runner-up, 2008 Purina Endurance Champion, 1st runner-up at the 2006 Quail Invitational and 1st runner-up at the 2005 Trial of Champions. While Doc love the competition of NSTRA field trials, he also enjoyed wild bird hunting. 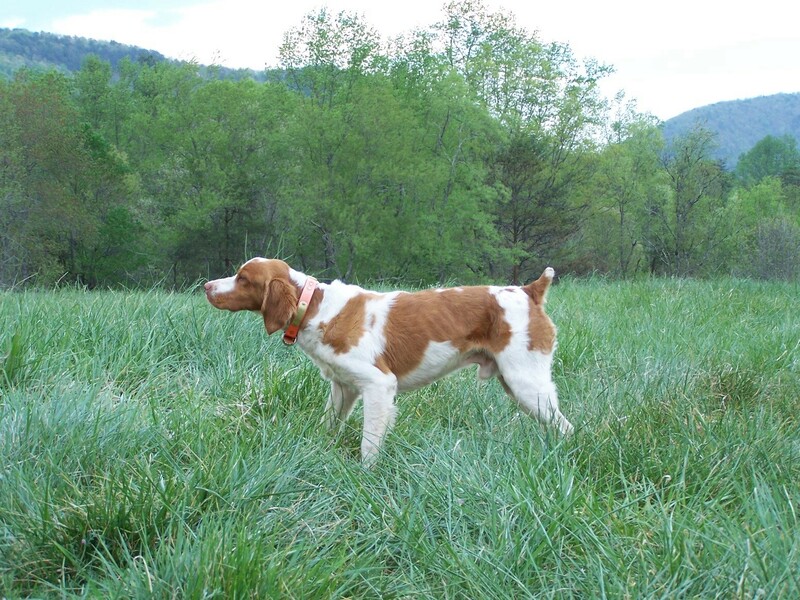 The BOD’s pick for the 2017 Hall of Fame Awards was Resa’s Trouble Mace “Mace” an English Setter male owned and handled by John Resa – Mid-West Region. Mace was from Barb’s Tekoa Trouble and Sue Maggie Sue. John raised Mace and was also wild bird hunted during wild bird season. He was whelped on 9/13/01 and during his trialing career, earned 312 lifetime points of which 181 were first place points. Mace earned his first NSTRA championship on 3/28/04. In 2006 he placed 4th during the MSM Regional Championship; during the April, 2007 TOC Championship, Mace placed 2nd runner-up during the final Championship Day. Following in 2008 Mace earned a 1st runner-up berth during the MSM Regional Championship. 2009 brought a MSM Regional Championship win to John and Mace. In 2010 Mace place 2nd during the MSM Regional Championship and finally in 2008 Mace won the title of NSTRA Grand National Champion. Mace’s progeny includes 19 Champion NSTRA dogs including 4x I Am Trouble Jake, Power’s Moonshine, 6x Power’s Gunslinger, 12x Resa’s Mazie, 5x Phipp’s Bird Desire, 8x Heaton’s Dakota Trek, 6x Heaton’s Electric Macy, and Barilla’s Resa Moretti just to mention a few. 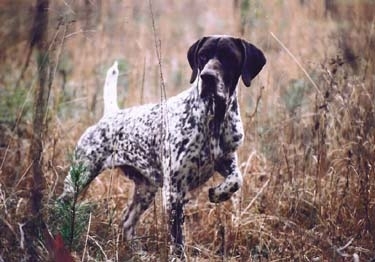 Tomoka’s Smokin J.R. J.R. was owned by Wes Barr and Greg Wood, but from March 2007 until his death resided at the Barr Kennels and was handled by Wes – WTX Region. 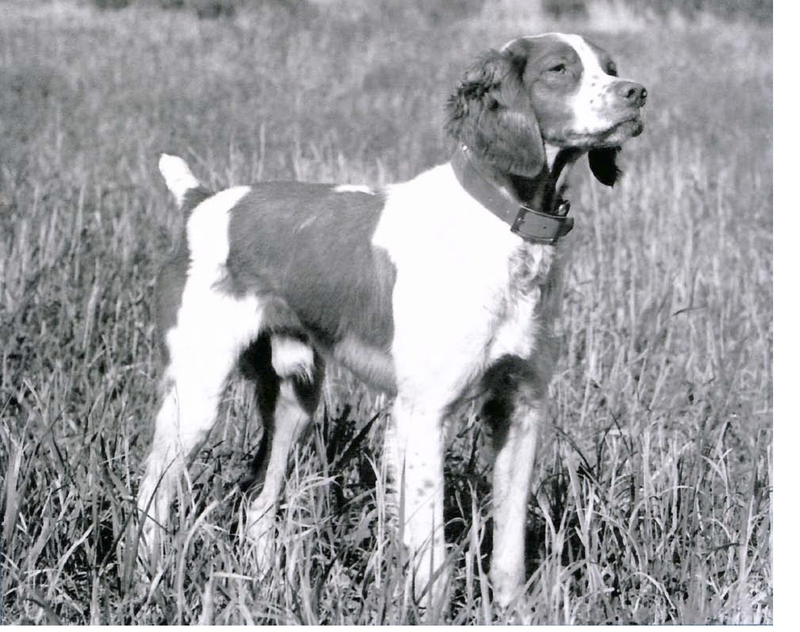 J.R. was an English Setter Male from Pay Per View (7x NSTRA Champion) who was from 3x Champion Tomoka’s Smokin Max and 8x NSTRA Champion Shirley’s Tomoka Peach. J.R.’s Dam was Bewitched Samantha. He was whelped on 5/4/05 and had a total of 355 lifetime points with 267 first place points. He was a 19x NSTRA Champion. J.R.’s first placement was on 3/25/06 where he won first scoring 1029 points. In 2007 he won 3rd runner-up at the Quail Forever Championship followed by a 1st runner-up in 2008 at the Purina Endurance Championship in Creston, IA. J.R. won the West Texas Regional Championship 3 times – 2010, 2011 and 2013. He was also 1st runner-up at the 2010 Trial of Champions. Wes and J.R. also won the Purina Top Performance Award in 2011 with 77 points. Wes adds “All I can add is he always gave 100% of his ability. He was a family member; my granddaughters loved him. We still miss him sitting by my chair at night. J.R. was more than just a trial dog. He became a part of our life and family. He went everywhere with us even after he retired”. Ken Copeland, family friend and fellow West Texas member, presented Wes with the Hall of Fame Award with Wes’ wife, Brenda in attendance. Our congratulations to Wes and Greg. 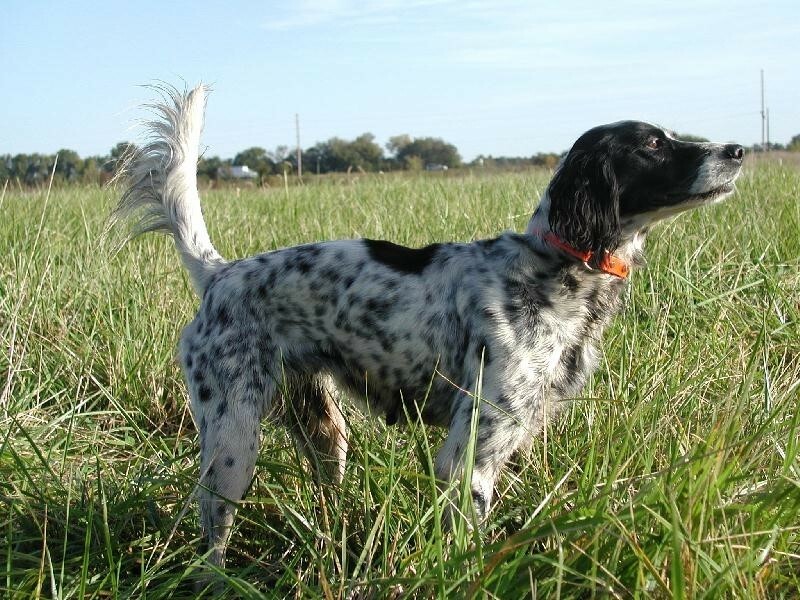 Quail Ridge Ranger, Brittany male owned by Jeff Gamble and his daughter, Rachel Crossland - Dixie Region members. 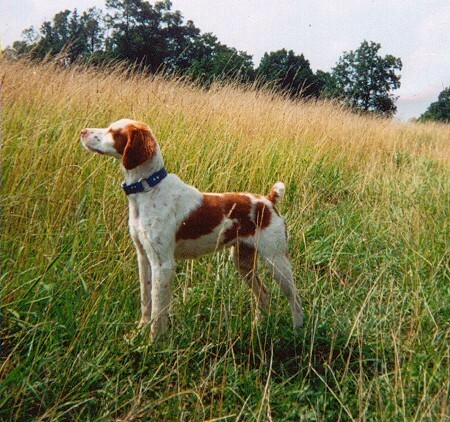 Ranger was whelped on 1/24/05- his sire being Danny’s Tennessee Archie and dam – Willis’ Brandy. Ranger accumulated 134 lifetime points of which 87 were 1st place points. He was a 7x NSTRA Champion and a 2x National Champion; winning the 2011 TOC Championship and the 2011 UKC Performance Championship. 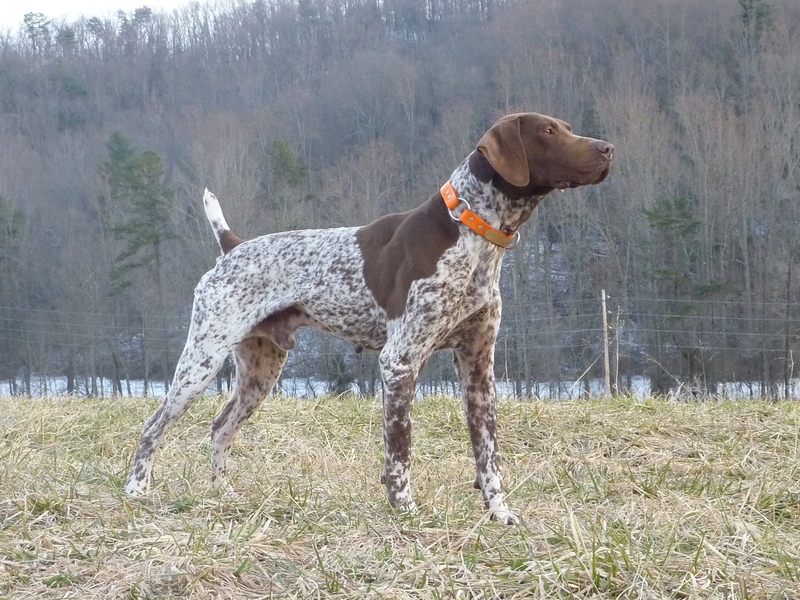 Ranger’s first placement came at a Birddog Cigar Trial. He won the Dixie Regional 3 times, 2008, 2010 and 2012 and was 3rd runner-up at the 2009 TOC Championship. Jeff was in attendance at the banquet and accepted the award from his good friend, Scott Townsend. Hats off to Jeff and Rachel. 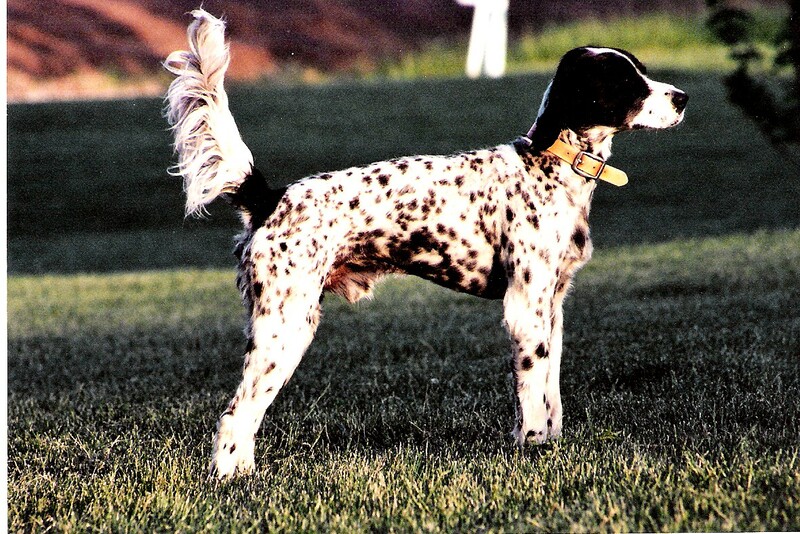 Tomoka’s Smokin Pete, English Setter male whelped 9/11//2001 and owned by Greg Wood and Jim Dobson, Kentucky Region. Pete accumulated 233 lifetime points of which 143 were first place points. Pete was from 17x NSTRA Champion Pete’s Second Chance and 16x NSTRA Champion Tomoka’s Smokin Sadie. 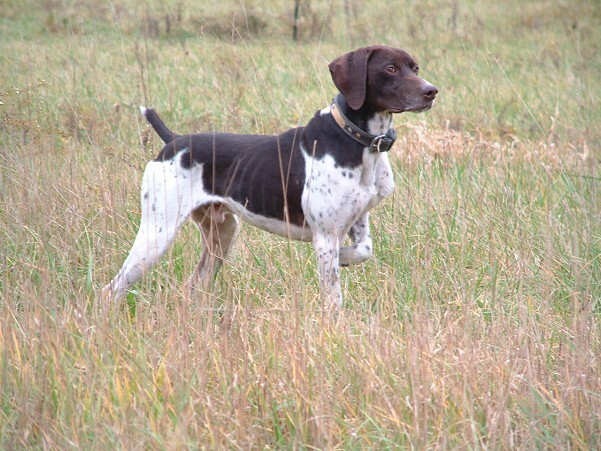 His first placement came at an Ohio County Birddog trial in September 2002 scoring 1042 points for a first-place win. Pete won the 2005 Quail Invitational Championship in February 2005, was 1st runner-up at the 2006 DOY Championship and won the Kentucky Regional Championship in 2008. In 2009 Pete finished 1st runner-up at the Kentucky Regional Championship. His first championship was in May, 2003 soon following with 2nd, 3rd and on down the line. Wes made the presentation to Greg and our sincere congratulations to Greg and Jim.